If a perfekt sound stage even looks good. The unshakeable wall mount was the first product of HighStandArt. 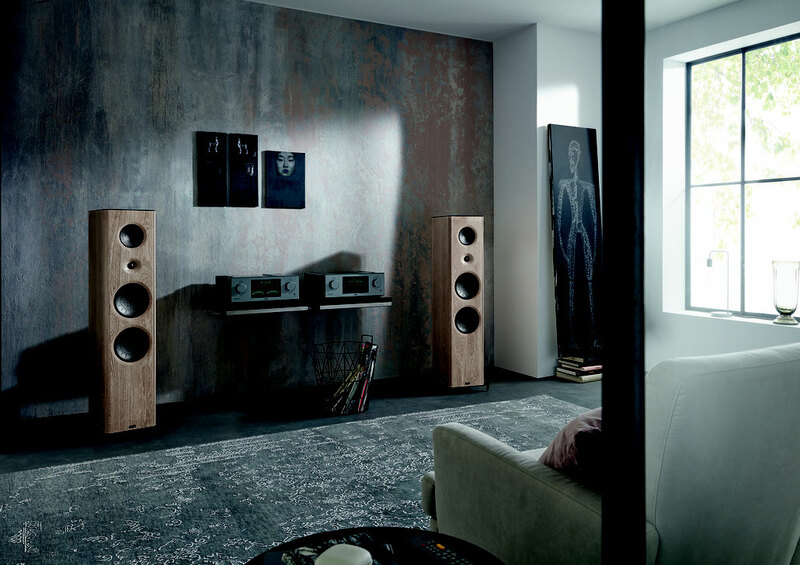 The idea behind it: to avoid floors and furniture – instead taking advantage of the wall as a save and sound place for HiFi equipment. That's how it decouples Hi-Fi devices completely from vibrations and resonances. The metal frame filled with sand, kills vibrations by its enormous mass, as well as the use of low-resonance materials such as natural slate or plywood. A hard, unsprung coupling between the frame and the support ensures that no swinging is produced. And last but not least, STOIC showcases valuable devices in an equally valuable way. And this besides its enormous carrying capacity. Turntables and amplifiers often are very heavy. No problem for the STOIC wall mount. With its robust construction and special fastening system, consisting of five expansion sockets, it can carry up to 100 kilogram on concrete or solid brick walls. Hard to believe with such a light and floating design. Installation is very easy – even for unpracticed craftsmen. A sturdy drilling template is included and a clear instructions manual guide you through the set-up process. The STOIC wall mount is available in the standard sizes of 40 × 55 and 50 × 55 cm. Further, you have the choice of different materials and finishes. After all, you know best what fits into your home.